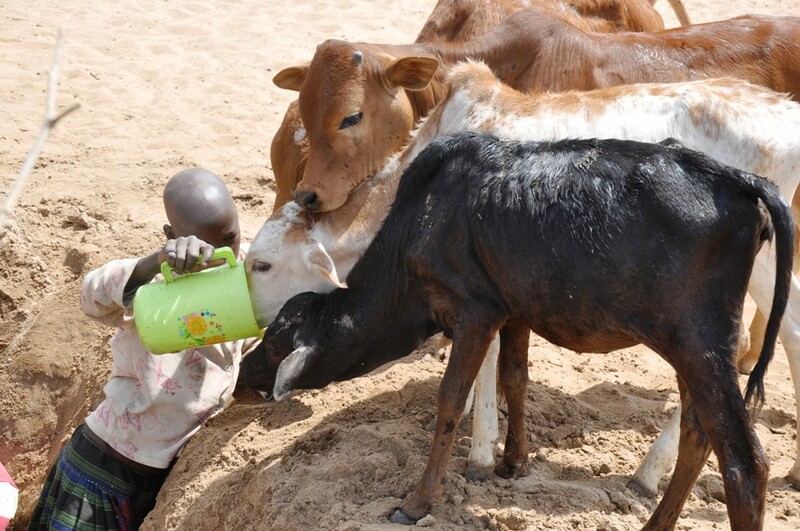 KARAMOJA – The intense drought in Karamoja sub-region has dried up all water sources, forcing humans to share water with animals. In Loyoro Sub County, Kaabong district, school children struggle for water with livestock at the only functioning borehole. The situation is the same in Moroto, Napak and Amudat districts. Sarah Angolere, a resident of Kosike village in Amudat district, said they are at God’s mercy, adding that the water that they share with animals is dirty but they have no option. “At times a cow drinks and urinates in the same water source but we have to wait a moment before we also fetch that very water for drinking,” she said. Paul Cheptoek, another pastoralist from Moruita Sub County in Nakapiripirit district, said the livestock have already become emaciated due to lack of enough water and pasture. Mr Francis Kiyonga, the LC5 chairperson of Amudat district, said the current drought is most likely to kill livestock like it happened in2017 in Amudat. He said in 2017, 3,000 heads of cattle, goats and donkeys died due to lack of water and pasture in Amudat district alone. “The situation is horrible and this where we call upon government to be realistic to us on water projects,” he said. According to Mr. Kiyonga, most valley tanks constructed per parish by the ministry of water and environment have dried up. Mr. John Nangiro, the LC5 chairperson Nakapiripirit, said conflicts of water and pasture are more likely to happen between the Karimojong and the neighbors should the rains delay to return. “Our people are now migrating to the neighboring regions such as Sebei, Teso yet from there they are not being welcomed in the good faith and this might spark conflicts,” he said. He said it is high time for government considered building multipurpose water dams in Karamoja.